Col. Kenneth Wofford, U.S. Air Force ret., died Sunday at North Memorial Medical Center in Robbinsdale MN. He was 87. I met Kenneth Wofford last April at the Minnesota Aviation Hall of Fame Awards Dinner in Bloomington, MN. That night I was honored to be presented with the 2009 Minnesota Aviation Writer's Award for my book, Fujiyama Trays & Oshibori Towels, about my experiences as a stewardess for Northwest Airlines in the 1950s. But the highlight of the evening for me was having the opportunity to meet many Minnesota aviation legends. Kenneth Wofford, a past Minnesota Aviation Hall of Fame honoree, was just such a legend. He stopped by our table to greet Tom Schellinger and his wife Judy. Tom, president of the Minnesota Aviation Hall of Fame, introduced me and my guests to Col. Wofford. 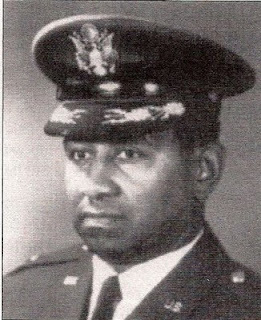 One of the original Tuskegee Airmen, Col. Wofford spent 32 years in the U.S. Air Force, flying combat missions in World War II and the Korean and Vietnam Wars. After retiring in 1974 he became manager of the Minnesota Office of Aeronautics. His passion for the past 25 years has been mentoring and challenging youth, especially those at risk, to overcome barriers and achieve their dreams. I feel very fortunate to have had the honor of meeing Kenneth Wofford.